Bad breath is a fairly common disease that many people have to suffer every day. Might be many people have bad breath, but they might not realize they have it. Some people know they have bad breath, so they are scared of contacting others because they fear that other people will laugh at them or feel terrible about them. Bad breath is a fairly common disease that many people in the world have. In addition to the reason of periodontal diseases, such as poor oral hygiene, dirty tongue, periodontal disease, dry mouth, and tooth infection, bad breath also reflects many other dangerous diseases. Here are some common causes of bad breath in adults you should keep in mind. The first out of the most common causes of bad breath in adults you might have never thought before is skipping the breakfasts. This might amaze you and other people because it sounds a little bit irrelevant. Despite a lot of people do not believe this, skipping the breakfast is one of the main causes of bad breath that we usually do not think of. Therefore, remember to have a nutritious breakfast in every morning to get enough energy for a hard working day and to avoid bad breath! Dry mouth is the main reason that leads to bad breath. Dry mouth is caused by mouth breathing, meaning that your mouth opens when you are sleeping. 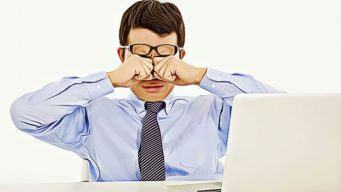 It can also happen when you snore too frequently, losing the function of your nose. Saliva functions to clean the oral cavity, containing a number of antibodies that help to reduce the amount of bacteria inside your mouth. Mouth dryness occurs when the saliva flow reduced due to reasons such as medication use, salivary gland problems, or mouth breathing. If the amount of salivary is too little, it will cause bad breath every morning when you wake up. Everyone thinks that using mouthwash will help them fight against bad breath. However, this also depends on the type of mouthwash you are using. If that is the mouthwash which contains high levels of alcohol, it can cause dry mouth and lead to bad breath. Believe or not, this is always one of the most common causes of mouthwash in adults you should remember to focus on. There are many foods that might be you are consuming every day lie on the list of the most common causes of bad breath in adults you may not know. They are delicious but act as the culprits lying on top of the food list you should avoid to keep your mouth far away from bad breath. Some foods or some medications also produce residual waste through breathing vapor or odor after the body’s metabolism. You should avoid consuming some foods with strong or specific smell like onion, garlic, durian, cabbage, cauliflower, garlic, and onion. The food which contains protein, fat, smelly spice, beer, cigarettes, pipe tobacco also should be avoided. Drinking plenty of water is very necessary for you to hydrate your body throughout the day to fight against the causes of bad breath. That is because when your body receives plenty of water, it will be able to wash away odor causing bacteria accumulated in the mouth and prevent dry mouth as well. If you are lazy and do not brush your teeth and wash your mouth regularly, that will lead to intentionally bad breath. The food particles which stick to your teeth, alcohol, and coffee will cause bad breath temporarily. Besides, smelly food such as durian can also lead to a similar situation if you do not brush your teeth well after eating it. 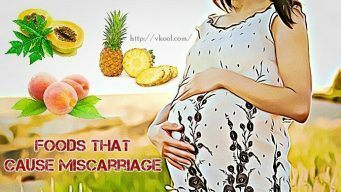 This is because after these foods are digested, their essential oil will seep into the blood, excreted through the lungs, causing bad breath. It is surprising that this is also one of the most common causes of bad breath you should not skip. Low-carb and vegetarian eating will produce ketones – a substance that smells like nail washer. Ketones can escape through saliva, causing dry mouth and bad breath to people who follow one out of the two diet methods mentioned above. Mouth odor can be related to stomach problems. Whether you have hard brushing, flossing, and having regular dental visits, you still can have bad breath if this problem stems from malfunctions occur in your stomach. According to many researches, one of the causes of bad breath is the overgrowth of bacteria in the stomach, creating mouth odors and lifting up to the mouth. People who are living with liver disease, kidney disease, or diabetes may also have bad breath due to the broken balance of bacteria in the body, paving the way for the harmful bacteria to grow stronger than beneficial bacteria. Smoking is well-known for being the main cause of bad breath in many people because it can cause its own unpleasant mouth odor. Oral tobacco users and smokers are also more likely to develop gum disease – another source of bad breath. There are a lot causes and triggers for halitosis. One of these causes and triggers, as I mentioned in the section above, is food. Now what we should know is what foods need to be avoided as they are the main causes of bad breath. Might be some of these foods are your favorite foods. However, if you are suffering from terrible bad breath or really do not like your mouth coming with odor someday, you really should kick them out of your daily diet. Or else, after eating them, remember to wash off your mouth carefully and brush your teeth to reduce the bad effects they leave on your breath. The first food that causes bad breath you should remember is citrus fruit juice. Citrus fruit juice has many health benefits as it is very rich in vitamin C and fiber. However, if you drink a lot of this juice, it will cause bad breath because citrus juice contains a large amount of citric acid which can help bacteria grow more quickly, creating sulfur compounds that cause bad breath. People with bad breath should stay away from foods derived from milk and cheese. The bacteria normally live on the surface of the tongue often “prefer” amino acids in dairy products so it generates more and more unpleasant smell of sulfur if you eat a large amount of these foods. The protein-rich foods, such as meat, fish, and chicken can also cause bad breath. The oral bacteria digest protein; thus, it will create volatile sulfur compounds. Although you just have a small piece of meat led to the teeth, it still can help bacteria grow rapidly. Therefore, you should reduce the amount of protein-rich foods consumed into your body, such as meat, fish to reduce breath odor. Using excessive amounts of alcohol can not only cause mouth dryness but also lead to unpleasant odor of the mouth. Your mouth really needs to have sufficient amount of saliva to minimize the amount of dead cells around your mouth and throat. This is the 2 culprits that everyone knows about which cause bad breath. Garlic and onions contain sulfur compounds that cause bad breath naturally. If you are a big fan of these two spices, you should remember to brush your teeth and clean your mouth carefully to prevent unwanted mouth odor. 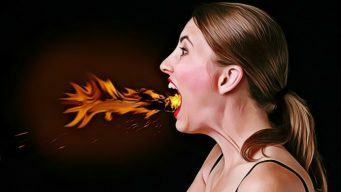 This is the list of 15 causes of bad breath in adults that readers of VKool.com should know and remember to avoid to keep their mouth always smell good. If you think that the common causes of bad breath in adults I mentioned above are true and useful for you, feel free to leave your comments and opinions below!